speed Refers to power value of the motor controlled, the parameter range is -100 ~ 100.
ch Refers to channel number of the motor controlled, the parameter range is 0 ~ 2, and 0: stands for both slots，1: for slot 1 channel，2: for slot 2 channel. position Refers to turning angle value of the servo controlled, the parameter range is 0 ~ 180.
ch Refers to channel number servo controlled, the parameter range is 0 ~ 2, and 0: stands for both slots，1: for slot 1 channel，2: for slot 2 channel. red_value Set LED red value, the parameter range is 0 ~ 255, 0 means no red color, 255 means the brightest red color. green_value Set LED green value, the parameter range is 0 ~ 255, 0 means no green color, 255 means the brightest green color. blue_value Set LED blue value, the parameter range is 0 ~ 255, 0 means no blue color, 255 means the brightest blue color. 4： means breathing mode: the lights change at the speed of human breath, that is they turn on/off each three seconds. 5： means gradient mode: all lights on the strip change their color gradually to the new setting color in a specific setting time. speed dynamic change speed, the parameter range is 0 ~ 8, 0 means the slowest speed and 8 is the fastest(It only works when there is dynamic change setting of lights status). list changeable parameter list, the parameter range is 0 ~ 8，the first parameter means the first light color, the second parameter means the second light color, and so on; And color parameters are as below: black(0x00), red(0x01), orange(0x02), yellow(0x03), green(0x04), cray(0x05), blue(0x06), purple(0x07) and while(0x08). x pixel’s X position on the panel, the parameter range is0 ~ 7.
y pixel’s Y position on the panel, the parameter range is0 ~ 7. 0：means emerging mode, setting image will display directly. 1：means erase mode, original image disappear gradually and new setting image will display gradually and vertically. 2：means left moving mode, original image moves to the left and disappear gradually and new setting image will move to the left until display the whole image. 3：means right moving mode, original image moves to the right and disappear gradually and new setting image will move to the right until display the whole image. frame_index index of the animation frame, the parameter range is 0 ~ 3; 0 mean the first frame, 1 means the second, and so on. 2：means fast speed that the animation frame rolls every 0.2 second. Clear the display of the panel. note_num numeric value, range of values 48 - 72, or string type, such as C4. beat value data, indicates the number of beats, the default value is always playing. frequency Numerical data, the frequency of sound which is played, and its value range is 0 ~ 5000.
time Numerical data, indicating the playback time (in milliseconds - ms) and its value range is 0 ~ the value range limit. number Numerical data, the number of paused beats, its value range is 0 ~ the value range limit. Numerical data, indicating the nature of the playback speed, in bmp (beat per minute), which is the length of each beat.Its value range is 6 ~ 600. The default value is 60, which means that the duration of one beat is 1 second. The beats of the rest and play_note functions are affected by this constant. Get current status of button; the result will be True: button pressed or False: button is not pressed. Funny touch can be connected to any conductive object (such as bananas and water) and turn it into a touch switch. A simple and interesting interactive effect can be achieved by detecting the conducting state between funny switches and GND wire. Plug the funny switch to slot 1 and the GND wire to slot 2. Clip a funny switch to a conductive object. Hold the metal clip of the GND wire and touch the conductive object with the other hand, the relevant indicator will light up and the block will send out an on signal. Note: Alligator clip is sharp, please do not clip yourself with the funny switch or the clip of GND wire, it may hurt you. 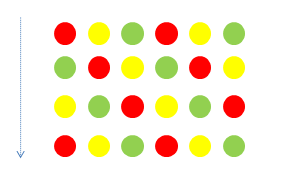 Whether the red clip is touched or not, result will be True: yes, it is touched, or False: no, it isn’t touched. Whether the green clip is touched or not, result will be True: yes, it is touched, or False: no, it isn’t touched. Whether the yellow clip is touched or not, result will be True: yes, it is touched, or False: no, it isn’t touched. Whether the blue clip is touched or not, result will be True: yes, it is touched, or False: no, it isn’t touched. Get the distance (cm) between the obstacle ahead and ultrasonic sensor; the result is floating point, ranging 0 ~ 300 cm; but measure distance ranges 3 ~ 300 cm as detection is not exact enough within 3 cm. Get the roll of the Euler angle, the returned data range is -90 ~ 90. Get the pitch of the Euler angle, the returned data range is -180 ~ 180. Get the yaw of the Euler angle, The returned data range is -32768 ~ 32767，Since the gyro sensor is a six-axis sensor, there is no electronic compass. So in fact the yaw angle is just the integral of the Z-axis angular velocity. It has accumulated errors. If you want to get a true yaw angle, this API is not suitable for use. Check if the gyro sensor is shaken, the return value is a Boolean value, where True means that gyro sensor is shaken, and False means that gyro sensor is not shaken. 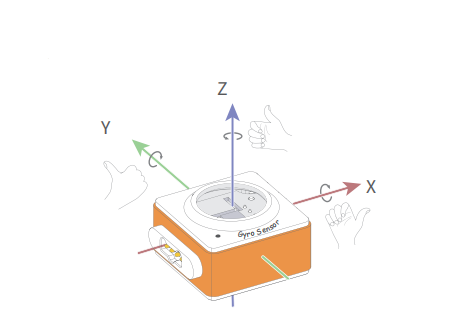 axis String type, with x, y, z representing the axis defined by gyro sensor. Get the detecting result from the sensor. Result will be True: it detects human nearby or False: it doesn’t detect human nearby. Get humidity of soil detected, ranging 0 ~ 100; the higher value is, the higher humidity is.